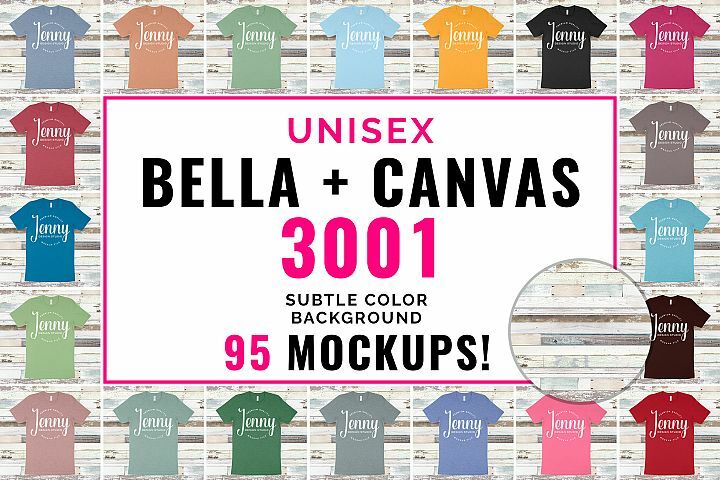 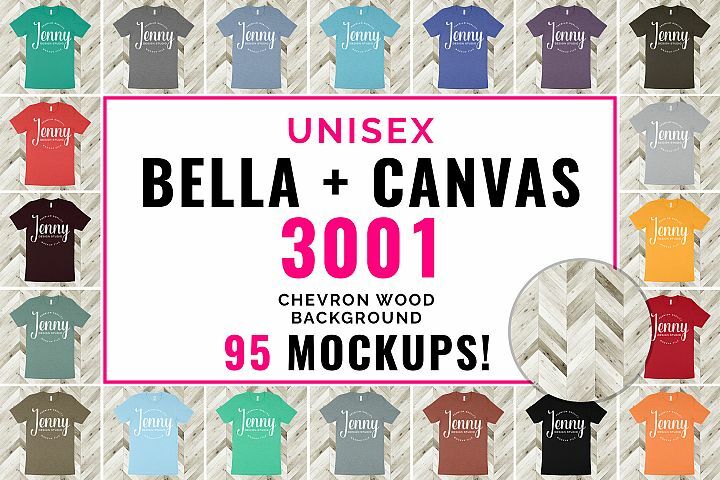 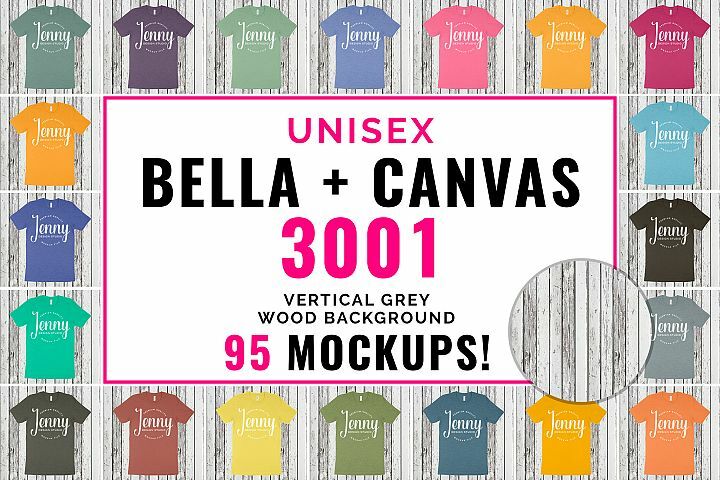 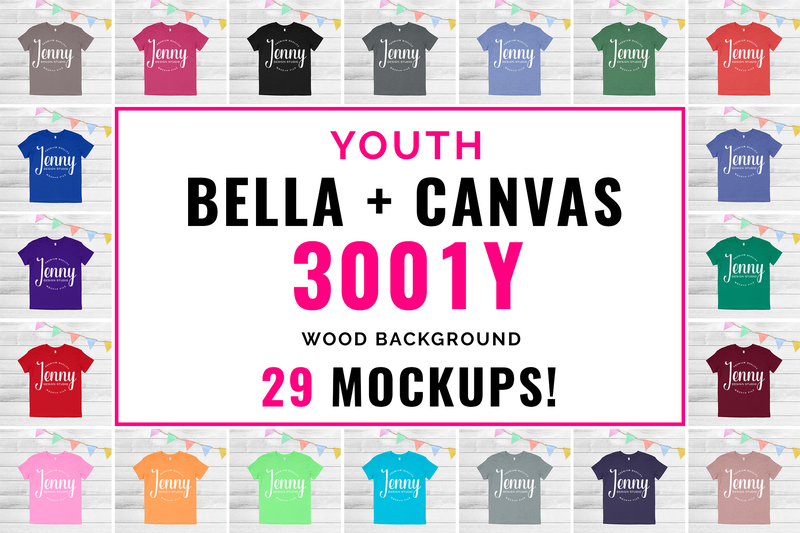 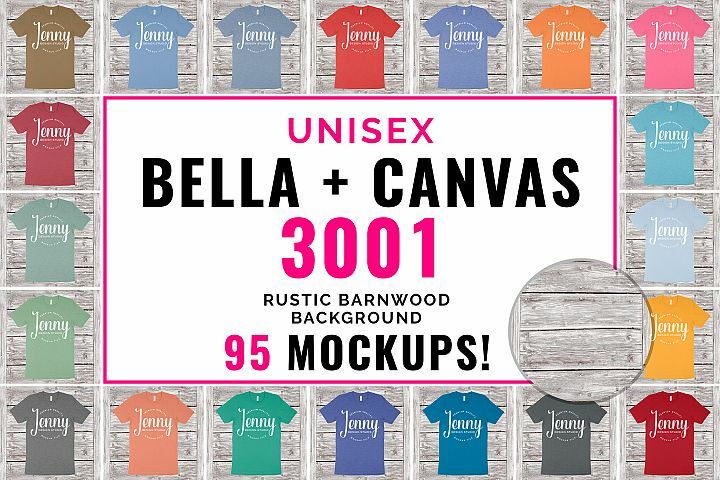 Bella Canvas 3001Y Youth unisex tshirt mockup bundle in solid colors and heather colors. 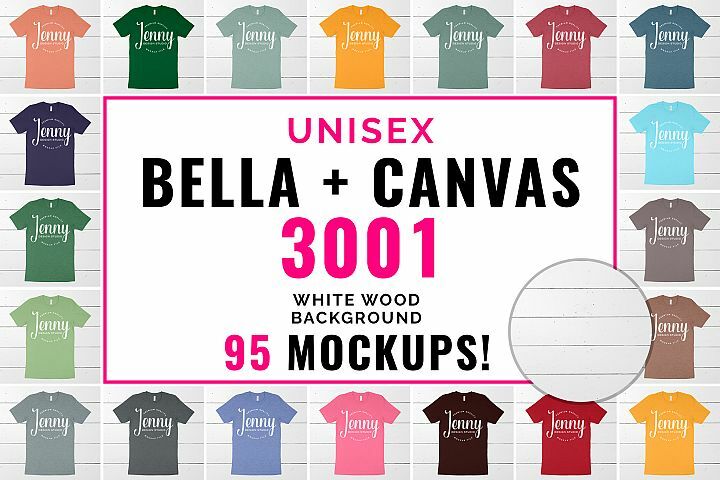 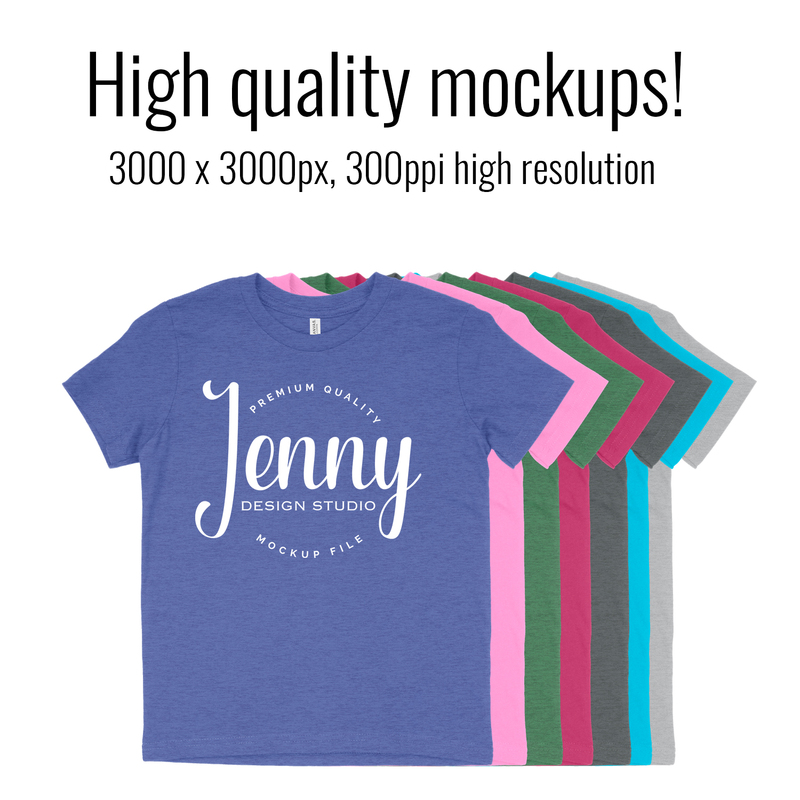 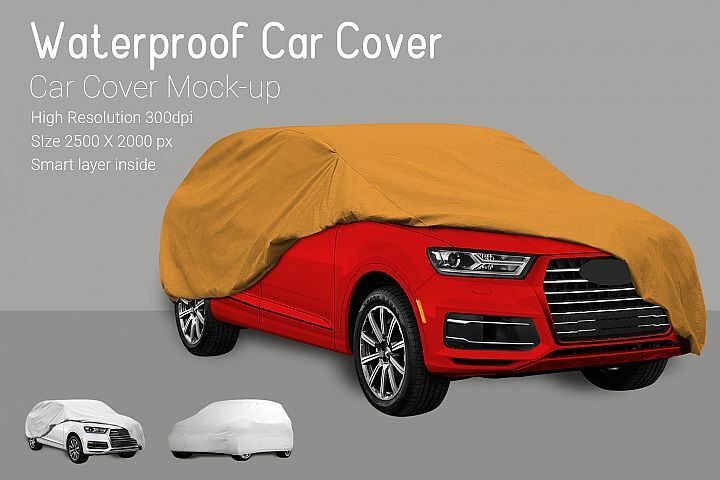 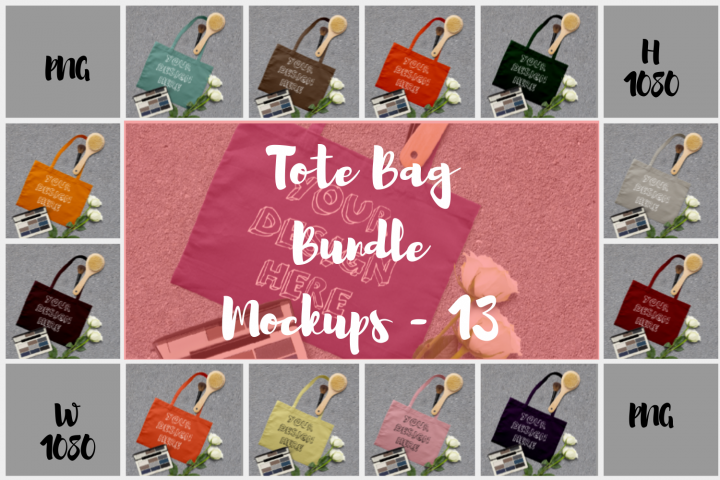 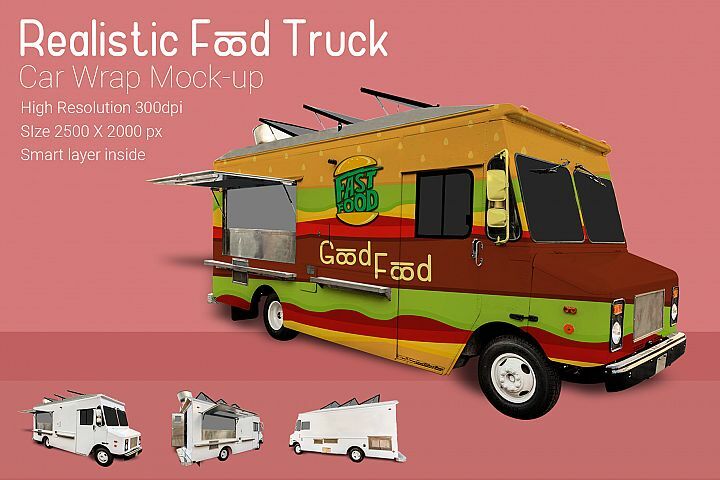 Save money with this huge bundle of 29 mockups! 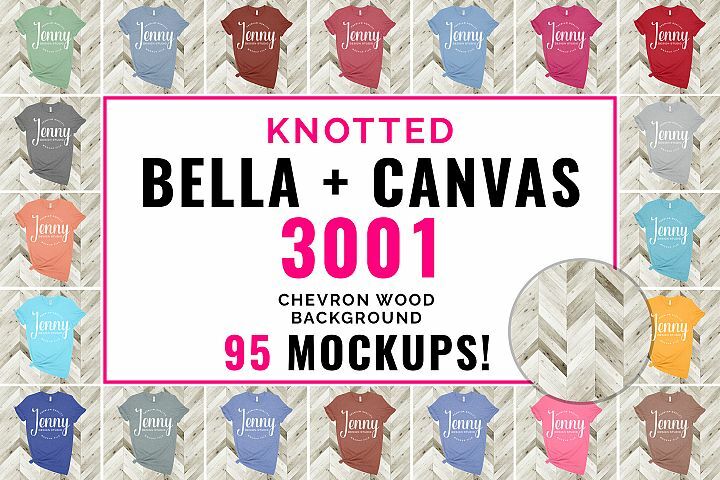 These mockups are amazing quality and placed on a wood background with a colorful accent bunting. 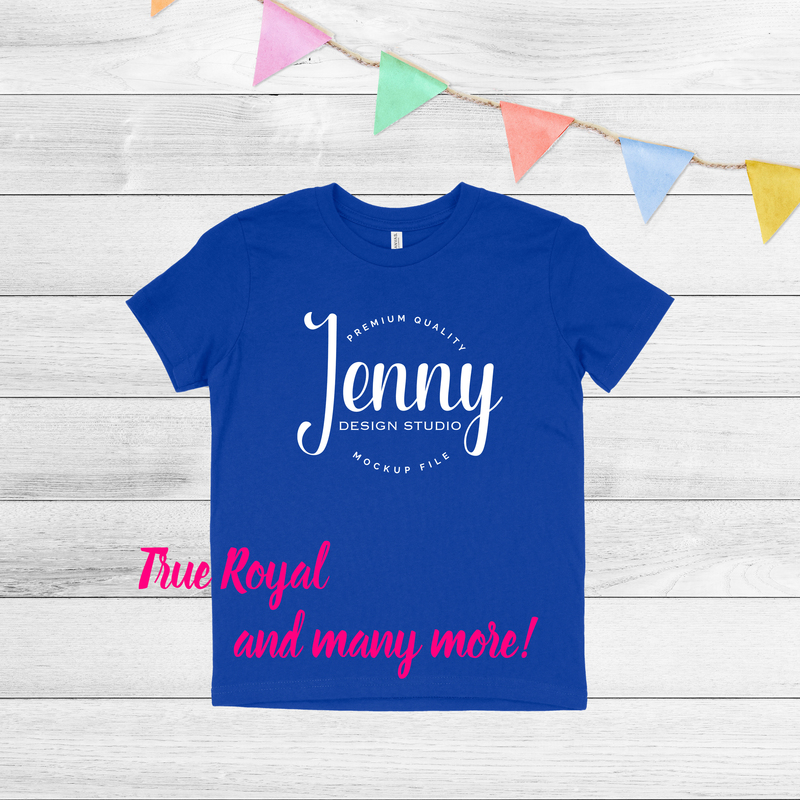 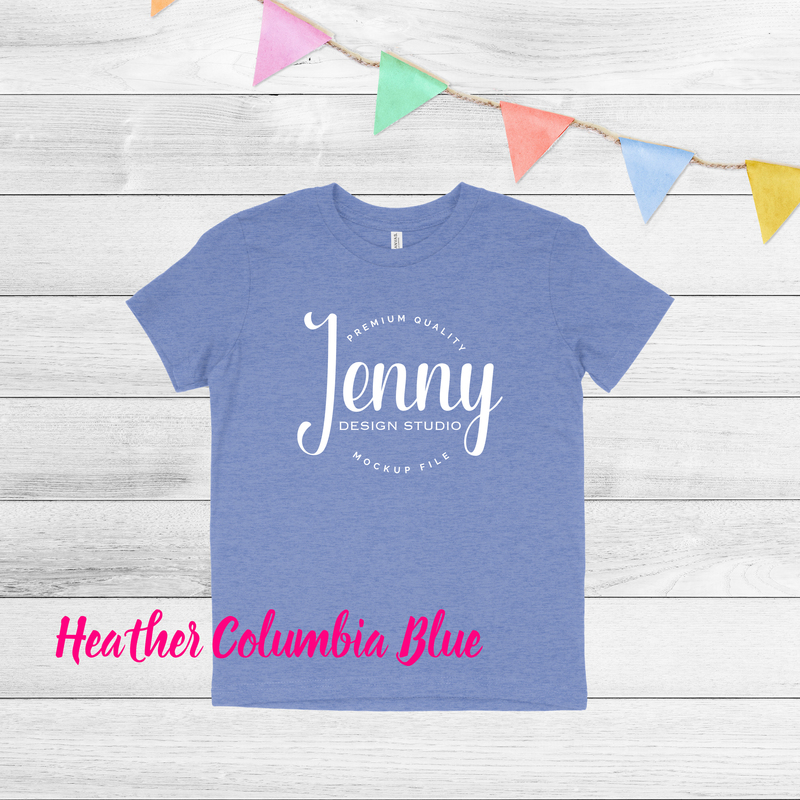 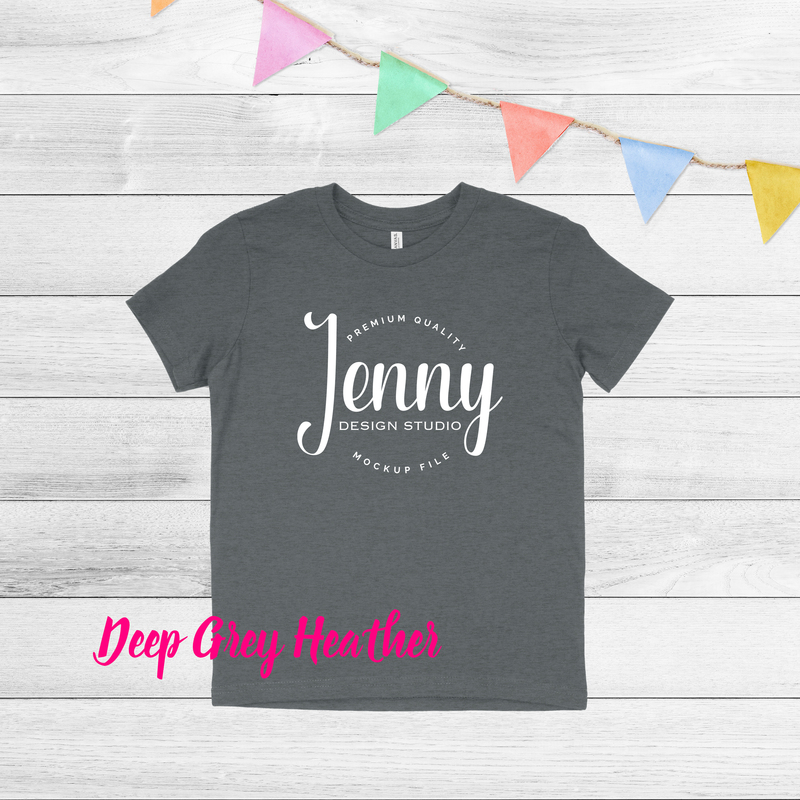 This design belongs to Jenny Design Studio. 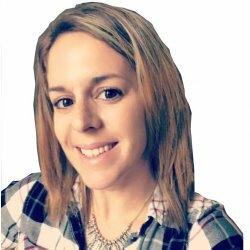 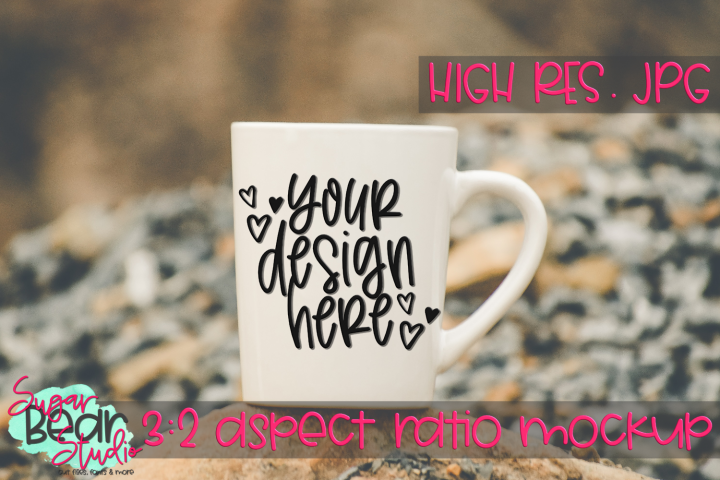 You may use it to showcase your work on Etsy, your website, print materials, etc. 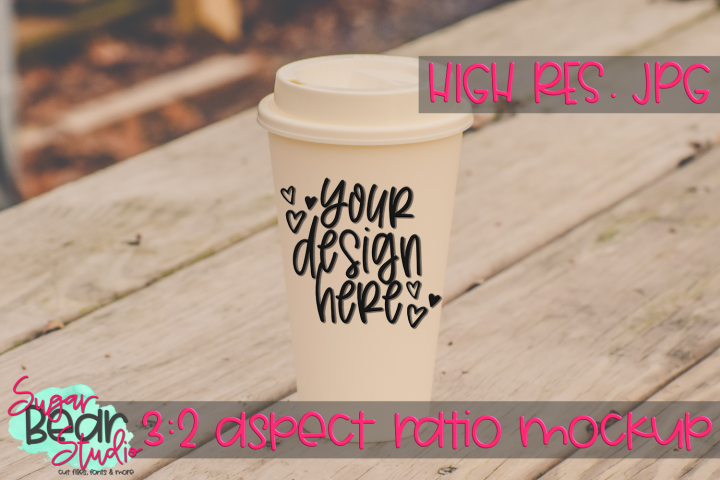 However, you may not redistribute it or resell it or any parts of it. 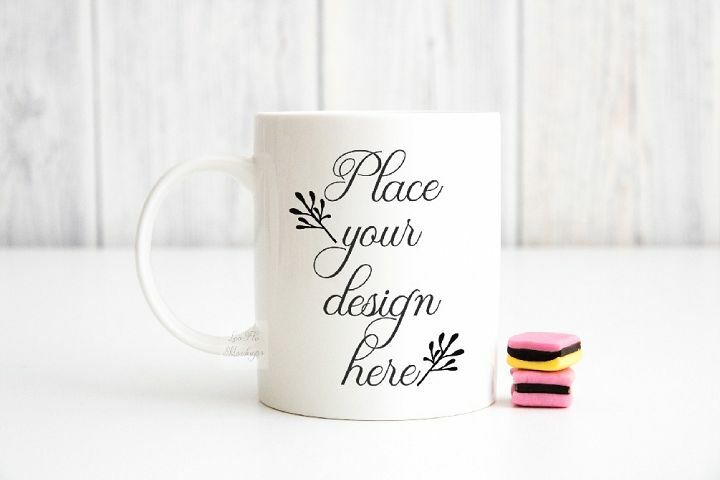 By purchasing this item you agree to these terms.